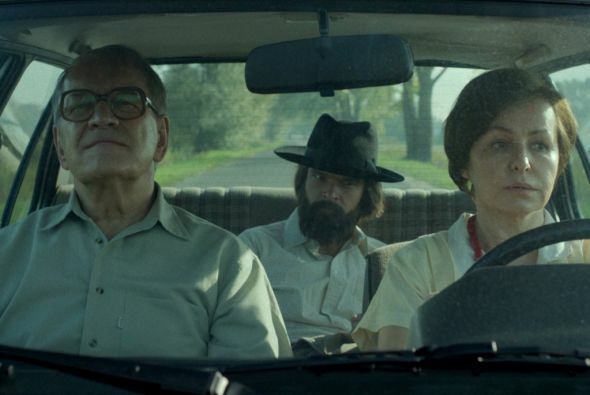 The selection for the competition among Central and Eastern European directors making their debut is based on two criteria: a genuine approach to cinematic means of expression and the quest for self-identity. Only the first or second full-length feature films of the directors take part in the contest. Covering a wide range of themes and means of artistic expression, their films will compete for best film, best director, best actor and best actress awards. The Last Family masterfully interweaves fiction and reality through the intimate portrait of an artist and his family life, inspired by his documentation. Despite being confined in a suburban apartment, the film conveys the zeitgeist of four decades. Grozeva and Valchanov tell us an emotional story with an energetic style and absurd humour, in which the political power abuses an honest worker and consumes the precious life of all its characters. Marius Repšys creates the truthful portrait of a man in midlife crisis partly provoked by his unemployment and partly because of his marital disillusionment, using his own body as an instrument. Mia Petričević reflects the dilemma of a young woman torn between traditional values and economical needs of her family, and her own suppressed desire for freedom and love with a perfectly balanced performance. Was born in 1952 in the South of Sweden. After first experiences as an actor in a TV series in 1983, Olsson found out that he was more interested in working behind the camera as producer. Since then he has been producing short films, documentaries and feature films. The most successful is The Mill and The Cross (2011) by Polish director Lech Majewski. From the second half of the 80s. Olsson has been working as a Programmer for the Göteborg Film Festival, the most important film festival in Northern Europe. Freddy is an Acquisitions Consultant for Folkets Bio, the leading arthouse distributor and exhibitor in Sweden with more than 20 theatres. Born in Istanbul, Alin Tasciyan graduated from the University of Istanbul with a bachelor’s degree in journalism and public relations in 1991. She has worked as a cultural journalist, film critic and columnist for 25 years. Tasciyan is an advisor and programmer for Adana and Antalya international film festivals. She has also served in many national and international film festival juries. Tasciyan is currently a member of the European Film Academy and the President of FIPRESCI (International Federation of Film Critics). A film critic and programmer based in Moscow. He works as the editor-in-chief of online film journal Kinote and a contributing editor at the film magazine Séance. Nelepo has curated several film festivals, including an overview of classic '60s British cinema and retrospectives of Bela Tarr, Seijun Suzuki and Philippe Garrel. He has also been published in Trafic, Cinema Scope, De Filmkrant and is the Russian film consultant for the Locarno International Film Festival.